Looking for a cute origami bookmark? Here you go! 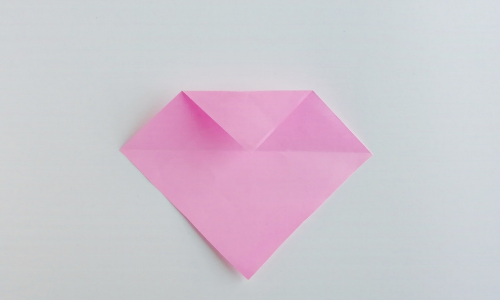 This origami heart bookmark is perfect for Valentine’s Day – or any day! A few years ago, we started dabbling in origami. We’re certainly not the best at it, but we sure do have fun. 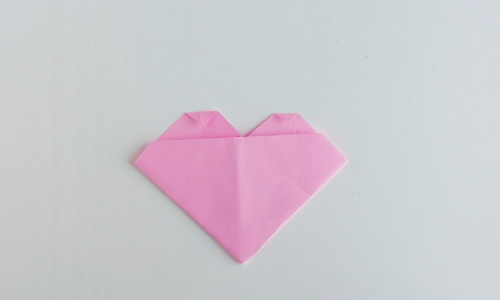 While looking for a cute origami bookmark that could double as a Valentine craft for my daughter’s sleepover party (that she’s already planning…in December! 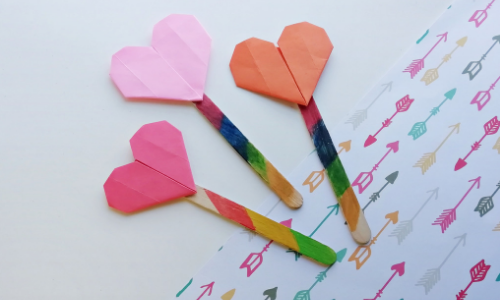 ), we decided to try this adorable and easy origami heart bookmark. 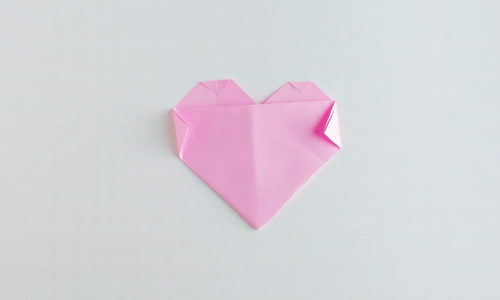 Before you head off to buy your origami supplies, we have a few tips for successful origami creations. Make sure you have a flat surface to work on. It doesn’t have to be a large area, but you’re going to need a flat, hard surface for folding your paper. A tray table or even a hardback copy of Harry Potter works just fine. Be patient. 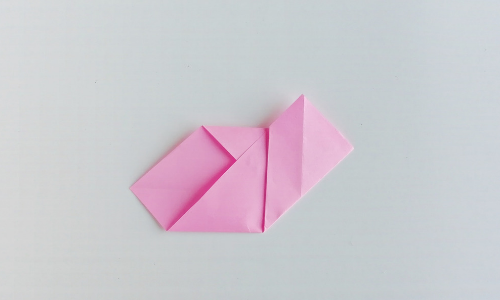 Origami is not a craft or art where you can rush ahead and skip steps. Each fold is important to the overall design and needs to be done with precision and patience. Choose the right kind of paper. 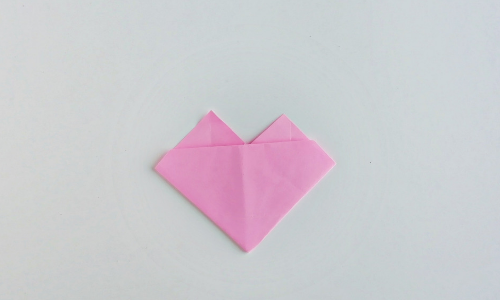 Origami paper is our favorite. 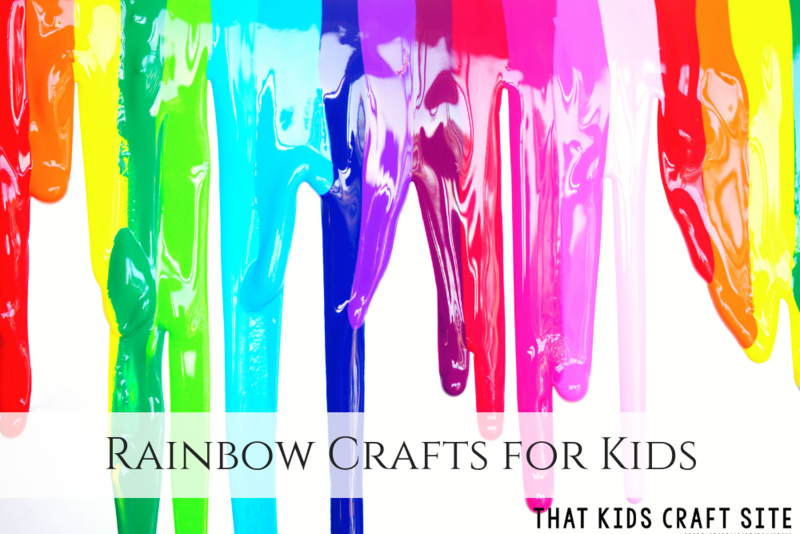 You can buy it at craft stores or online. 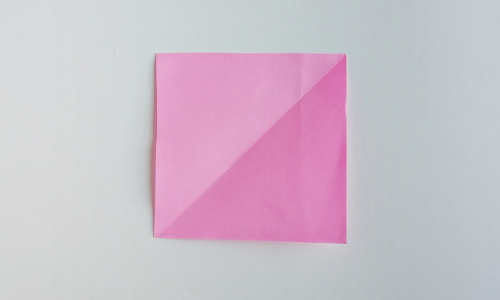 This is our favorite origami paper, but you can use whatever type you like. Heavy paper or cardstock is not recommended as it’s much harder to put a strong crease in it when folding. 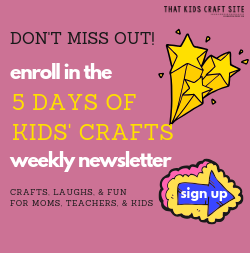 Start with a relatively simple origami creation. 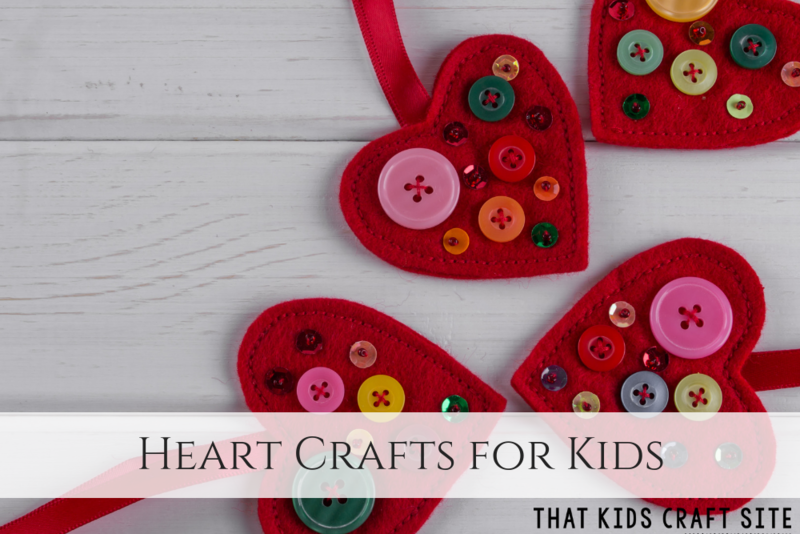 The heart in this pattern is a great place to start, because it’s not overly complicated. 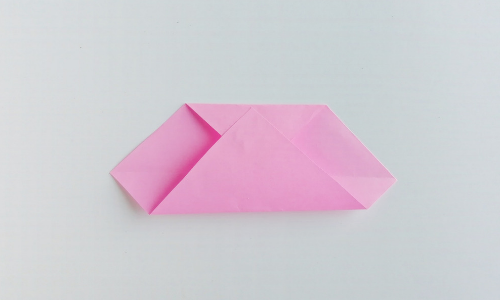 While it may be tempting to head straight into something more complicated, slow and steady wins the race when it comes to mastering origami. Have fun! 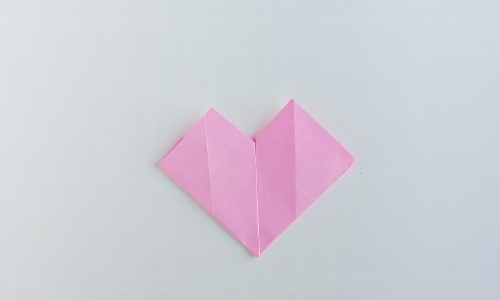 At the end of the day, whether your origami heart turns out spectacular or not, it’s really just a paper heart. Keep it in perspective and enjoy the learning (or attempting!) process. It took us quite awhile to figure origami out too! You can do it! Take your piece of paper and trim it to 3-inches by 3-inches. It doesn’t have to be origami paper, but we always find it’s easier than just any old piece of paper. If you’d rather keep it larger, that’s fine as well, but it has to be square. So, step 1 start with a square! 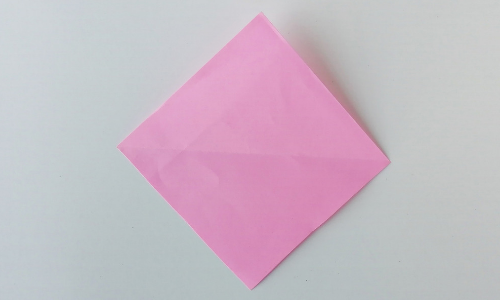 Place the paper diagonally in front of you. Bring the top point of the paper to the middle and fold. Bring the bottom point to the top of the paper and fold. Fold the right side towards the middle. Fold the left side towards the middle. Slightly fold the top point down. Slightly fold the bottom point up. Glue all the folds to secure the heart. Set aside to dry. 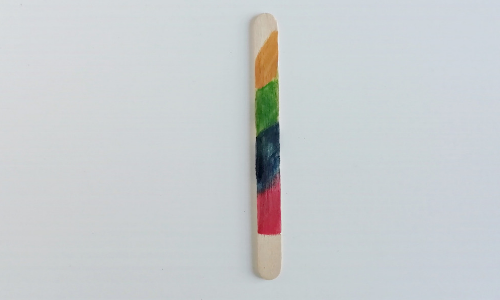 Take the popsicle stick and markers and color or draw a design on the stick. 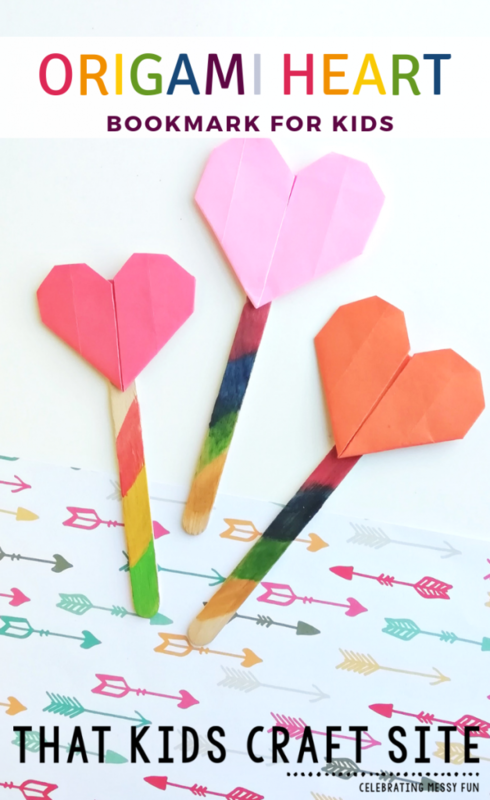 When the heart and the popsicle stick are dry, glue the heart to the end of the stick to create an origami heart bookmark! Use it to keep track of where you are in your book. Give it as a gift for Valentine’s Day. 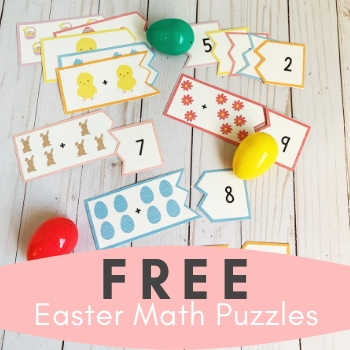 Make a bunch to give to your librarian to pass out. Sell them at a small craft fair. Make them at Girl Scouts. 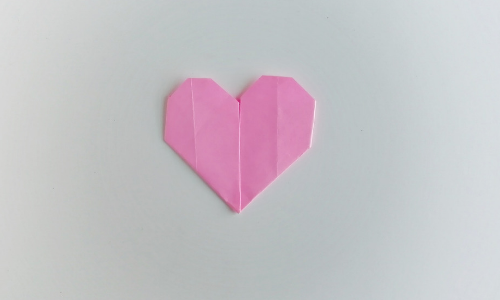 Write an inspirational word or message on the hearts, place them in a piece of green styrofoam, and have a “Heart Garden” where friends or classmates can pick a word that will give them hope. Use them to label seedlings that you give to mom for Mother’s Day. Want to print out the directions to take with you or follow at home? No problem! 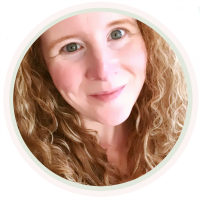 Simply hit the print button in the card below and it will print them out for you! 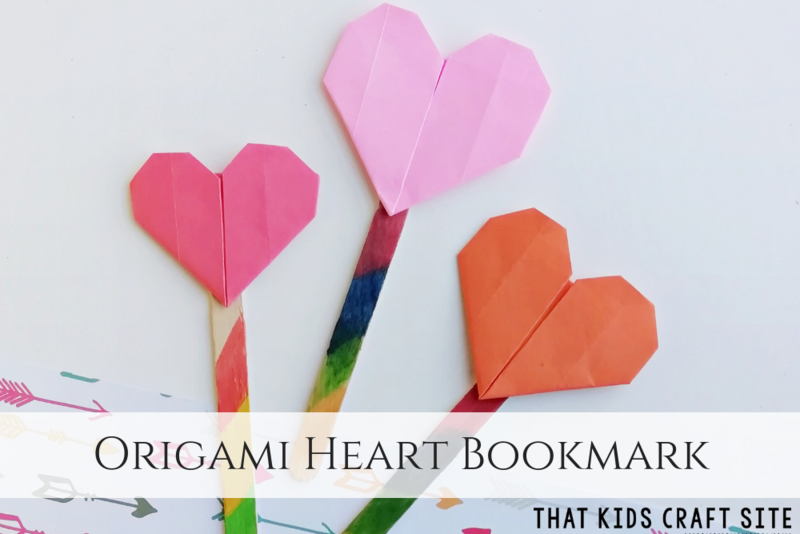 This origami heart bookmark is a great Valentine craft for kids or a fun present for Mother's Day! The best part is that you can totally customize it! Take your origami paper and trim it to 3-inches by 3-inches. If you'd rather keep it larger, that's fine as well, but it has to be square. Bring the top point to the middle and fold. Bring the bottom point all the way to the top and fold. Slightly fold the top points down. Slightly fold the top side point inwards. Glue all the folds to secure the heart. Use permanent markers to decorate your craft stick. Glue the dried heart to the dry craft stick.